Because no two homes are alike, Maid-zen offers a wide range of house cleaning services to the residents of Kingwood, Humble, Atascocita, and other north Houston residents. You can get a room by room list of our maid cleaning services below. Don’t forget to call or email us to get a free quote. Dust and polish furniture, vacuum carpets, clean under cushions, dust ceiling fans, dust light fixtures, dust baseboards, dust window sills, and (if applicable) clean patio doors inside and out. We’ll make sure you have a clean living room and a clean dining room to come home to. 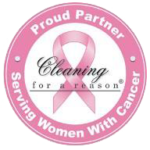 We handle all kitchen cleaning and clean laundry. Maid-zen cleans the countertops, clean small kitchen appliances, clean the microwave inside and out, clean the stove exterior, wipe refrigerator exterior, clean the air vents, wipe cabinet exteriors, wipe dishwasher exteriors; clean the sink, faucet, and drain, clean inside-windows over the sink (if applicable), dust window sills, vacuum and mop floors, dust exposed baseboards, dust washer and dryer, etc. Maid-zen also offers office cleaning services and other duties including, dust the furniture, vacuum carpet, linens: change/straighten, dust exposed baseboards, dust ceiling fans, dust the light fixtures, dust lampshades, etc to ensure that you have a clean room. We’ll be your personal bathroom cleaner and maid. We clean and disinfect the tub and shower stalls, clean and disinfect the toilets inside and out; dust the light fixtures, mirrors and countertop, clean cabinet exterior, dust toilet paper holder and towel rack, vacuum and mop floors and rugs, dust exposed baseboards, etc. Dust furniture, dust light fixtures, lamp shades and artwork, vacuum, and mop floors, dust exposed baseboards, etc. Wash inside windows; empty, wipe, and replace items inside cabinets and hutches; remove shoes and other items from closets, vacuum, and replace; remove ashes from the fireplace; clean inside the oven; clean inside the refrigerator; fold clothes; wash dishes. Ask for details.